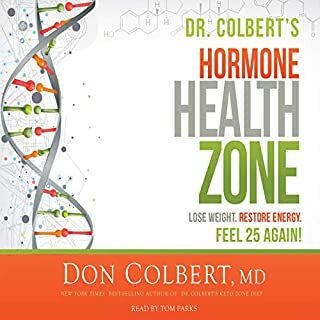 In The Hormone Zone, Dr. Colbert dispels the myths about bioidentical hormones, sheds light on common hormone disruptors you need to avoid, and tells you what your doctor may not know about the proper tests, optimum hormone levels, and action steps you need to take to achieve your desired results. For years hormone imbalances have gone undiagnosed, but not anymore. Arm yourself with the latest information from a trusted source. A balanced, happy, healthy life is the goal, and getting in the zone - the hormone zone - is the way to achieve it. Are you in a rut repeating the same story year after year? Have you got big dreams for your life but don’t know where to start? Have you tried to adapt good habits in the past only to fall back time and time again? In 5 Things Successful People Do Before 8 A.M., you will get the insights, encouragement, and practical steps needed to create a powerful, life-changing daily routine. 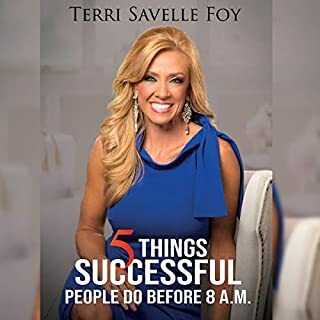 Terri Savelle Foy shares with you the habits of successful people as well as her own personal habits that took her from a mundane life to living a life filled with purpose and success. Terri Savelle Foy reveals how giving yourself a pep talk consistently and intentionally is key to achieving your dreams. Why? Because your words are powerful and the words you speak about yourself are even more powerful. Discover what to say from God's word about your freedom, faith, finances, family, fitness, and your future dreams and goals. Use the sample declarations, including Terri's personal daily pep talk, to unlock your potential and rise to new levels. Discover the secrets to health, wholeness, and a long, abundant life! Most of us eat without thinking. Yet there is a direct correlation to what and how we eat to our physical and spiritual well-being. Let Pastor Joseph Prince unlock the healing promises from the Scriptures designed to lead you to a life of abundance. Dr. 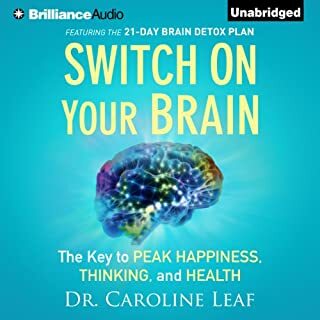 Leaf shows listeners how to combine these powerful tools in order to improve memory, learning, cognitive and intellectual performance, work performance, physical performance, relationships, emotional health, and most importantly a meaningful life well lived. Each of us has significant psychological resources at our fingertips that we can use in order to improve our overall well-being. Dr. Leaf shows us how to harness those resources to unlock our hidden potential. 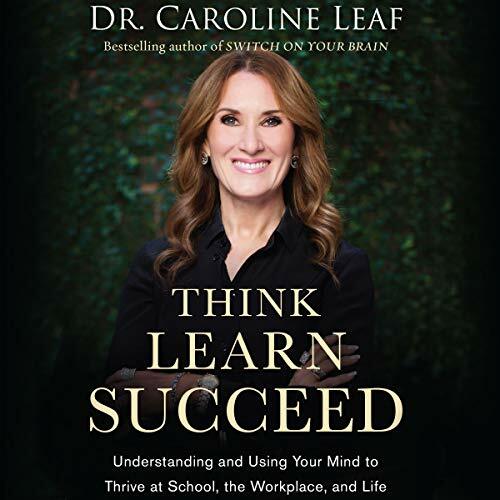 ©2018 Caroline Leaf (P)2018 Brilliance Publishing, Inc., all rights reserved. Dr Caroline Leaf has done it again. This book came at just the right time! This new book of research and insights and sharing comes from a very authentic place. The science is easy to understand and the goal is a balanced body and mind. Love the information but I would probably not recommend audible but instead a book or kindle. there are many questions and also parts I would like read and process and go back to. but it is an anointed book as is the author. 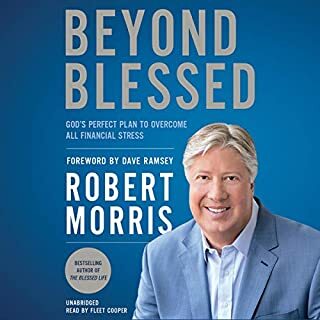 I am grateful for God's wisdom in this book! Old information synthesized in a slightly new age package. Grandiose claims of curing dementia, replete with an insulting insistence that ADHD and learning disabilities are mere misdiagnosis. No necessary inclusion of ACE (adverse childhood experience) considerations... basic mindfulness practices and stock educational theory presented as though they are new discoveries... I kept listening with the hope that there might be something redeeming, but Dr. Leaf’s work only amounted to a monumental waste of time... moreover, the shameless self promotion was too much. I feel like I’ve been had- like I just bought a bunch of neurobiological snake oil. I have ordered all of Dr. Leaf’s books. She’s brilliant for certain but unfortunately. It’s of her books rehash what is already in her other books. I was hoping this book would be different. My guess is she is repackaging former teaching into a new presentation and that’s awesome if you have not read her over books. Also, it references many PDFs but no url link is given. For this, I’d recommend the hard copy, not the audible. And, of course, this would be much more powerful if Dr. Leaf was reading the material herself. One of the most astonishing reads ever. - buy it! 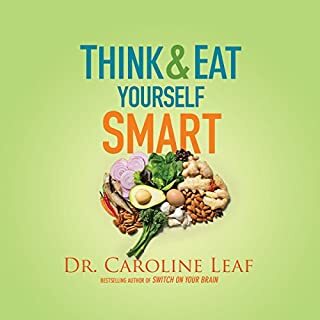 I was delightfully stunned by the impeccable research of Dr. Caroline Leaf in this watershed and 'sea change' treatise on how the mind, brain and body really work seamlessly and wonderfully together. The LORD; Christ Jesus' perfect creation of us and His inner workings of us is finally revealed and unveiled, for all to behold and marvel at! 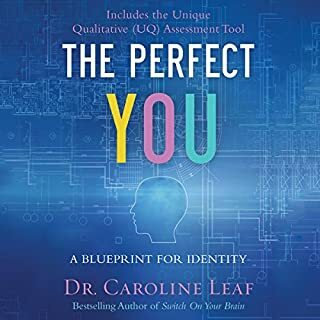 This audiobook, it's PDF complementary study guide, the actual book is a must listen and read! It should be retained, entrained, embraced and applied by every educator,, coach, parent, CEO, business owner, mentor and student...bar none! You will never be the same if you take to heart, mind and body its insights, wisdom and practical daily applications! Carpe diem! I’m done with this author. I could not glean the message due to the numerous info commercial ; not appropriate. It seems like a constant selling of the other books, apps, other stuff. Buy, buy, buy! Very eye opening! Easy to understand and full of information that can be applied to real life whether you are a student, a business person or just want to improve your thinking. This book was full insightful information and knowledge that while in some ways familiar it gave so much more new knowledge and science behind practices. Very clinical at points but the tools given are simple and practical. However the narrator drained me. I t almost made me turn off the audio book and just go by the hard copy. This book is so hard to follow. If you’re not a neuroscientist this book is not something you can relax and read. As much as I like her previous work, this book contains no new information. Lots of research cited which is useful for some, but I’d rather have the facts laid out and then how to apply action instead of knowing about each doctor, professor, university etc that conducted research. And I enjoyed listening to it and going through the pdf. I'm going to listed to it a second time to fully absorb the concepts that are not familiar to me. There is far too much use of neurological jargon, even more technical words than neurons, axons, dendrites, and synapses, which we readily understand. It would have been much better simply to explain the methods devised by the author, instead of discussing the intricacies of the hypocampus' function, etc. All that hardly helps a learner to learn better or more effectively. Amother thing the book does is to take well-known ideaa and cloak them in (pseudo) scientific rhetoric. I tried to make sens of this book but is to hard to follow up , not captivating in any way , no story behind it . It try`s to explain how your thinking process works but but terminology is hard to capture.